I've found two more opensource 3D engines. Sauerbraten is an experimental engine made for in-game geometric editing (and in general very simple map making). 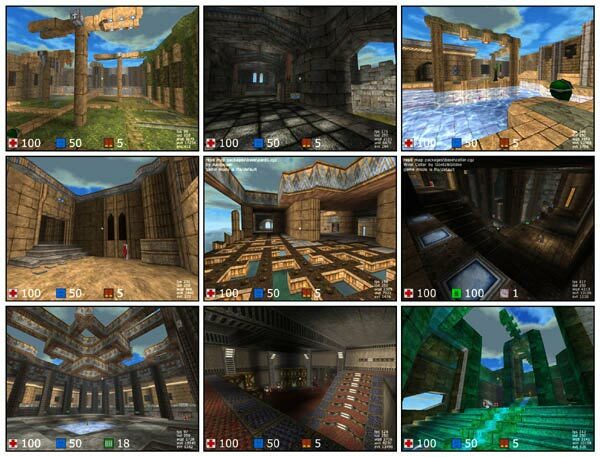 It is based on Cube, an open-source, FPS-oriented, indoor-engine. Both of them are multi-platform (even xscale PocketPCs!) and support multiplayer.